To avoid putting workers in danger, fire extinguishers should be located throughout the workplace and readily accessible in the event of a fire. You can usually find them in hallways, meeting rooms, kitchens, mechanical /electrical rooms, and near exit doors. Providing portable fire extinguishers and mounting, locating, and identifying them so that they are readily accessible to employees without subjecting the employees to possible injury. Providing the correct type of fire extinguisher for the workplace. 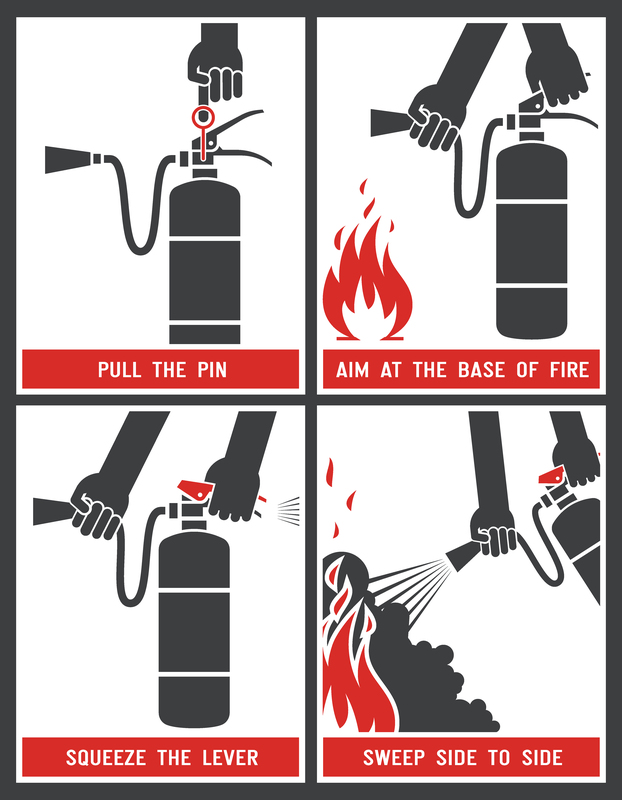 This is often times a multi-purpose fire extinguisher. Assuring that portable fire extinguishers are maintained, fully charged, operate properly, and are kept in designated places at all times, except during use. Knowing where the fire extinguisher’s are located at your place of work.